There might be a good reason why Kate Middleton looks the way she does, and that’s not because of her personal choices. In fact, there’s a new report that says both Kate and her husband Prince William are banned from eating certain foods during their royal engagements. The Duke and Duchess of Cambridge are both on a strict diet because Buckingham Palace wants to avoid potentially embarrassing public gaffes. According to reports, Prince William and Kate Middleton are on a very strict diet whenever they travel abroad for their official state tours. There’s also one particular dish that they are absolutely forbidden to have, and that’s shellfish. The last thing Queen Elizabeth wants to see is for the Duke and Duchess of Cambridge to make headlines for possible food poisoning. What’s more, members of the monarchy are instructed to avoid meat cooked rare and tap water while they are abroad. They are also forbidden to eat anything with garlic in it. Both Prince Charles and Camilla Parker-Bowles are known for steering away from garlic just because they wouldn’t want anyone to think that they have bad breath whenever they are in close proximity to other people. Of course, Buckingham Palace is yet to make any comments about the Duke and Duchess and their diet and what they are and aren’t allowed to eat. And even with all of their restrictions, that hasn’t stopped the couple from sampling the local vodka during their tour of Poland last month or trying out phallic claim during their trip to Canada last summer. If that weren’t enough, everyone remembers how Prince William was photographed drinking alcohol with his buddies during his ski trip to Verbier last February. That was a mistake he probably regrets the most as the entire world saw his embarrassing awkward daddy dance moves in a clip that quickly went viral. Apparently, certain foods are restricted but for William and Kate an occasional glass of pint or alcohol isn’t. That’s why each and every time Kate Middleton says no to a glass of champagne in public, many royal observers can’t help but wonder if it’s because she’s pregnant. But that isn’t the case whatsoever. Kate simply chooses whenever she wants to have a glass of the good stuff, and depending on her mood. 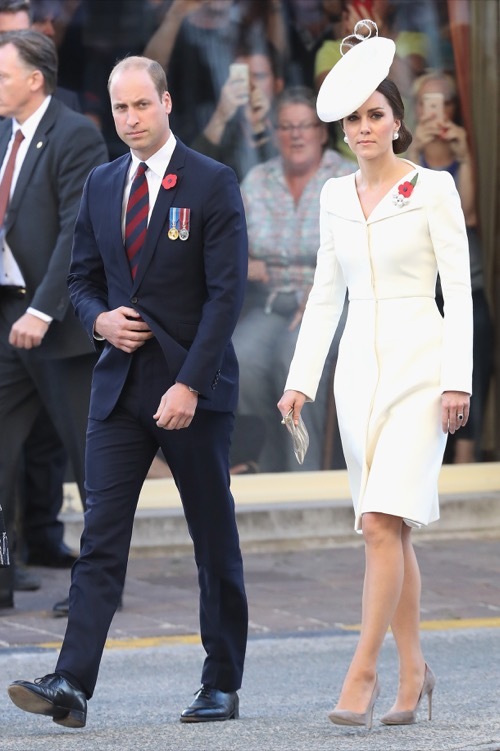 In the meantime, don’t forget to check back with CDL for all the latest news and updates on Prince William and Kate Middleton along with the entire royal family right here! Sign up for our Free newsletter by clicking here and get the latest breaking new on The Royals! Queen Elizabeth Refuses to Give Kate Middleton a Sash Because of Poor Work Ethic?